Play Kingdom of Legends online for free now! Do you dream of mountains of gold? Your dreams could come true here! 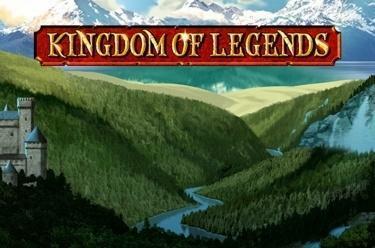 Kingdom of Legends takes you to a magic kingdom where each symbol carries its own Jackpot. Nine jackpots are waiting to be cracked - all you have to do is land 15 matching symbols at the same time on the reels. However, the residents of the reel kingdom are also valuable individually. No pattern is required to win, no matter where they land on the reels – all you need is the minimum number! What's more the Crown also grants you ten free games. What a dazzling place! There are no lines withKingdom of Legends that determine a winning sequence. All game symbols are Scatter symbols. You win, when the required number of matching symbols lands during a round. 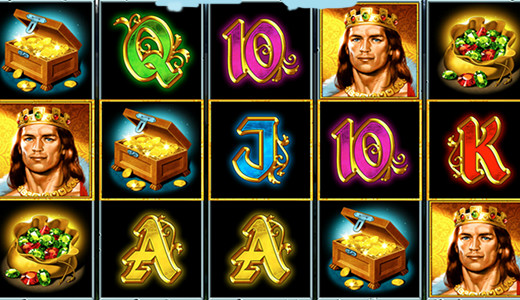 10 free games are yours when you land at least three Crowns on the royal reels!